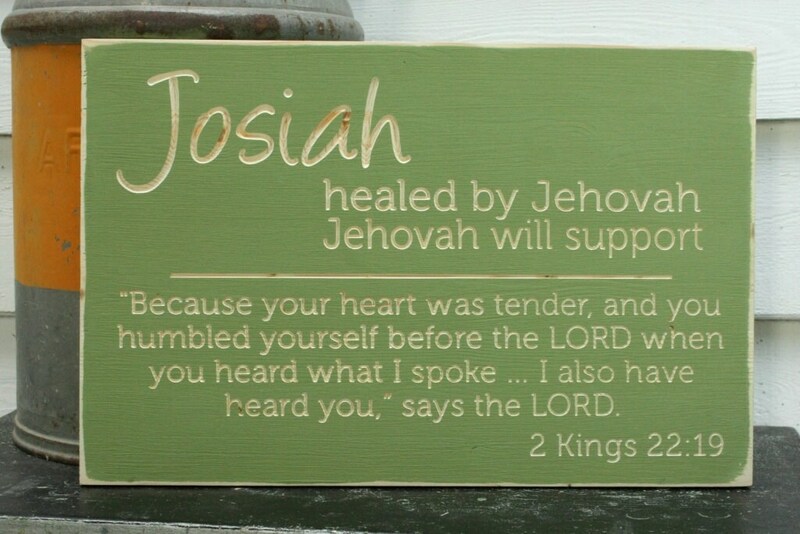 This sign features a first name with the meaning of that name and an quote or verse of your choice as shown. 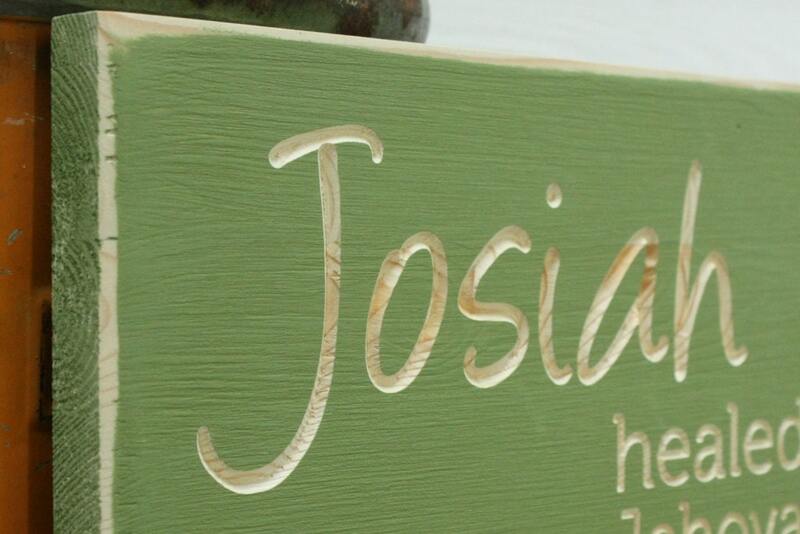 This is the more "boyish" version; see our elegant version here: https://www.etsy.com/listing/399081537/baby-or-girl-name-with-meaning-and-quote. I love this, it was a baby shower gift for my dil, I needed it quickly and it arrived with a few days to spare. Great company to work with, I will be ordering more. This is even more gorgeous in real life than it is online. Really fast turnaround, and looks amazing in our house. Honestly, the best thing I've ever ordered on Easy! Beautiful custom work! Easy to work with shop.